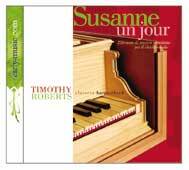 Timothy Roberts is an early-keyboard specialist, working as an accompanist, director or soloist on harpsichord, organ, fortepiano or clavichord in many areas of music from the sixteenth to the nineteenth century. 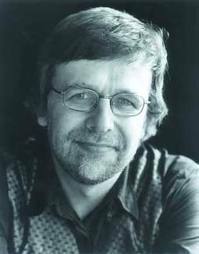 He is principal keyboard player of The Gabrieli Consort and Players, appearing on many of their award-winning discs. He has toured widely with His Majestys Sagbutts and Cornetts whom he recently directed in an acclaimed Hyperion recording of Gabrieli’s 1597 Canzonas and Sonatas. In the field of Baroque and Classical song he has accompanied many outstanding singers including Emma Kirkby, Catherine Bott, Julia Gooding, Rufus Müller and John Mark Ainsley. Directing his own ensemble, Invocation, he has made a series of pioneering recordings of Georgian vocal music for Hyperion. His many recitals for BBC Radio 3 have ranged from Renaissance harpsichord works to sonatas by Mozart and by British composers, and he has twice been featured on the BBC’s ‘Spirit of the Age’ series. Timothy was born in London, was a music scholar at Cambridge University and studied harpsichord at The Guildhall School of Music under the late Christopher Kite, and with Jill Severs. He has published numerous editions of early music, most recently with Oxford University Press. 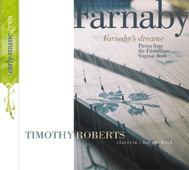 Additional discography for Timothy Roberts, not available for sale through the early-music web-site, can be found here..